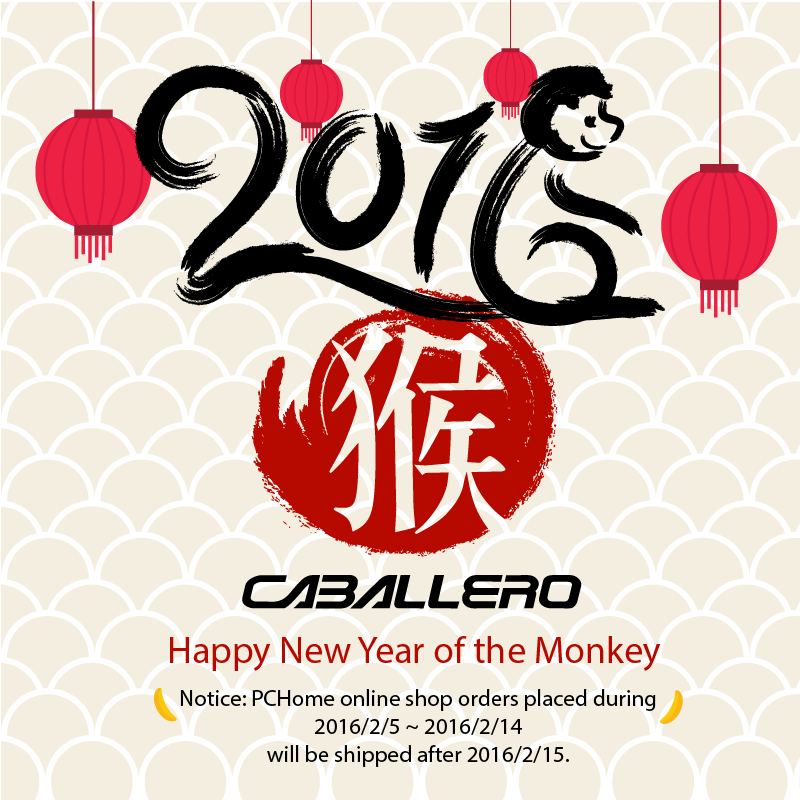 With the Chinese New Year holiday coming soon, we would like to inform our dearest customer that during the holiday period, we will not be providing customer service and shipping process (but still accept placing online orders). All order placed during 2016/2/5 ~ 2016/2/14 will be shipped after 2016/2/15! and all the happiness in the world!